Led by James Kennedy BVMS MBA MRCVS, CVS Farm Vets division has grown with 100 vets across 22 practices nationwide which range from traditional mixed practices to large farm-specific practices. Our collective buying power enables us to compete nationally with the most aggressive online pharmacies and agricultural merchants. Our aim is to be able to provide a comprehensive, progressive and caring service to every type of farm enterprise, from the smallest smallholding to the largest modern agribusiness. 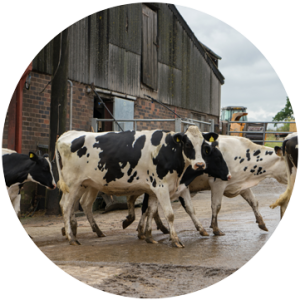 We believe this will enable us to create a sustainable future for our practices whilst empowering our vets to help their clients navigate through the complex issues of antimicrobial and anthelmintic resistance. 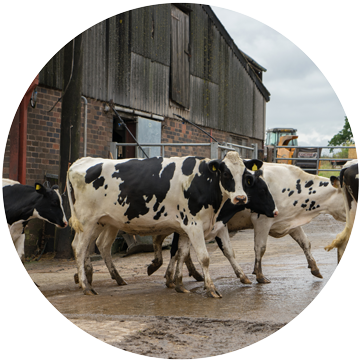 Our practices are involved in numerous initiatives across the UK to reduce incidence of disease and improve productivity while always seeking to prioritise animal welfare. We hope that by doing this we can help the farms that are served by our practices thrive and prosper in challenging times for the agricultural industry. In a time of rapid change in the farm veterinary sector, CVS provides a new and exciting career path. We aim to provide a safe and supported entry point for young vets and new graduates into the profession, followed up with the potential for progression to specialist qualifications and to move towards managing and leading practices. Visit www.careerswithcvs.co.uk for details of our latest vacancies. CVS is looking to develop its portfolio of acquisitions further. We offer excellent post-acquisition programmes specifically designed to fully support new farm practices to the division.